When you import your trades into Tradervue, they come in as a list of individual executions. 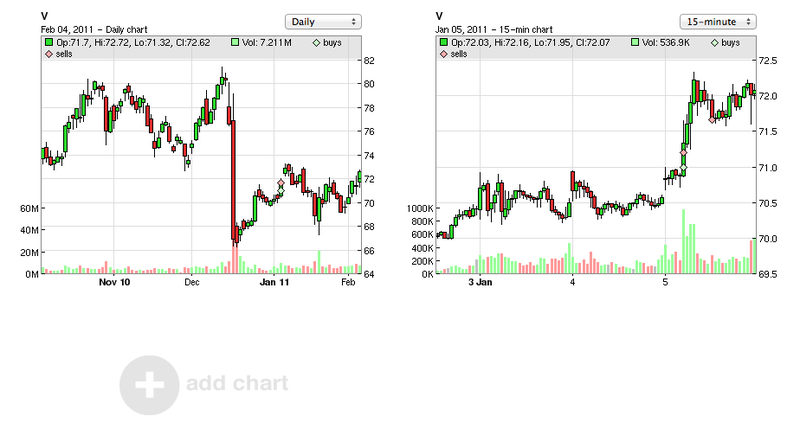 Even something simple like buying 1000 shares might come in as buy 200, buy 400, and another buy 400. They might not even occur all at the same time – if you entered that order as a limit buy, there could be an arbitrary amount of time between the first and last execution. They also might execute on different venues. But when you entered the order on your platform, you were thinking “buy 1000 shares”. All the rest is important, but in a higher level sense it’s all just details. So when you import all of these trade executions into Tradervue, it uses an algorithm to group your trade executions together into logical trades. In highly simplified form, this algorithm basically starts a new trade if a) you change sides (e.g. long to short), or b) it’s been over a certain time limit since your last trade closed. Otherwise it may continue the prior trade. 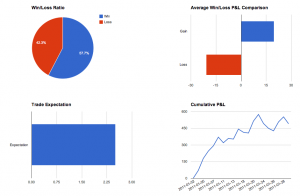 What we’ve found is the vast majority of the time, Tradervue’s automatic trade grouping does what the trader would want, and the resultant logical trades match up with a “trade” in the trader’s mind. Occasionally, however, you might want to tweak this trade grouping. If you click “Advanced”, and then “Split Trade” on the trade detail screen, you’ll see the trade split interface. On this screen you can choose the specific execution that should start the new trade, then click “Split Trade”. Not all of your executions can be selected – only those that would ensure the original trade is closed after the split. If you click “Advanced” and then “Merge Trades” on the trade detail screen, you’ll see the trade merge screen. Here you can choose which trade you would like to merge with the current trade; only trades which are eligible to merge are shown. If you select the trade you wish to merge, and click “Merge Trades”, the selected trade will be merged with the current trade. For both split and merge, you will only see those options if they are applicable. For example, if a trade cannot be split, you will not see the Split Trade option. And if there are no eligible trades to merge with the current trade, you won’t see the Merge Trades option. So all in all, you probably won’t need to use these features often, if at all. But if you want to be very specific in what you refer to as a “trade”, you can now fine-tune things as much as you like! to require both tags to be present. The “AND” must be in all upper case, otherwise it will be interpreted as part of a single tag like “head and shoulders”. Update 1/11/2015: You can now use NOT in tag filters. 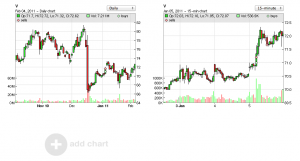 We have added weekly price charts to the available intervals. You can use them by selecting “Weekly” from the chart intervals on individual trade pages, or click on your username at the top right of the application and click “chart settings” to change your global default chart settings. The focus with the Tradervue price charts has been to show you the price action up to and including your trade, so you can evaluate your decision process. However, since even before the public launch we have had a number of requests to show price action after the trade is closed as well. You can see the 5-minute chart extends to the end of the trading day, and the 1-minute chart still shows plenty of pre-trade data, but also shows a half hour or so after the trade is closed. I’ve taken the last several months of trades and imported over 900 historical trades into an online trading journal a couple weeks ago. For those who don’t have a trading journal setup yet, www.tradervue.com is a great new online trading journal that’s free. I really like it after reviewing many others (free doesn’t hurt), and the reports are also useful. Simple and elegant to use, but powerful. By reviewing each of my historical trades carefully one by one (and trying to relive the moment — why I took it, how I felt, etc. ), and then writing journal notes and placing appropriate tags with useful metrics (grade, setup type, outcome, market conditions, target met or not, etc. ), I can run reports to see what setups are working for me, how much those setups make, win/loss %, how well I executed, what type of trades are NOT working for me, etc. To get these types of reports, the “trick” is to spend the big effort to add meaningful tags into your trade journal records. As you, Dr. Brett, and others have mentioned, I want to focus on my strengths. This journal is helping me significantly to discover what my strengths are, via facts from my actual trading results. It’s definitely worth reading the whole thing, as well as the article on the SMB Capital blog that it’s referring to. 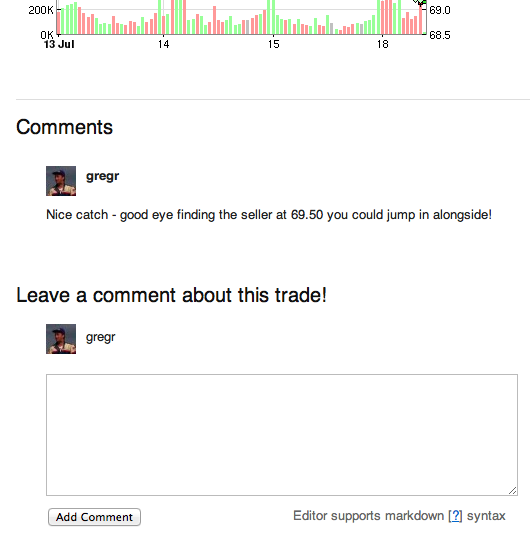 It’s fun to hear from folks who find Tradervue is making a real difference for them! 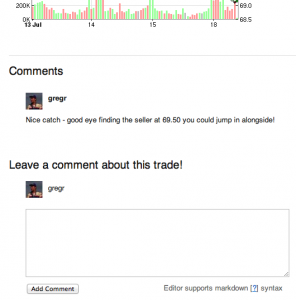 New: comments on shared trades! Leave your thoughts, ask a question…either way, a great way to have a conversation about a specific trade, and learn from both the trader and the commenters! These reports are especially useful when you use them in conjunction with tag and/or date filters. For example, if you tag your breakout trades with “breakout”, then you can display these reports for just your breakout trades if you wish. Seeing your average trade expectation or cumulative P&L for just a certain kind of setup can really help you see when a particular setup isn’t working well for you any more, and help you pinpoint the changes you might want to make. If you’re already signed up for Tradervue, head over to the reports view to see the new analysis. And if you’re not signed up, well, maybe now is the time!